Administration Policy, Democrat (sic) Law, or Trump Legal Crime Against Humanity? On Wednesday afternoon, the president retreated in defeat and publicly reversed himself — a rarity the likes of a legitimate Bigfoot sighting. Until then the Trump administration had been attempting to find justification for its new “zero-tolerance” illegal immigration policy. This policy was implemented in April with colossal incompetence, including no plan for tracking and reuniting families in the future. And, as intended, it has perpetrated child abuse upon migrant family children apprehended at the U.S. southwestern border. Stephen Miller, White House senior policy adviser, was happy to take credit for the policy of separating children from their parents indefinitely. He reveled in his role as the devil (versus the angel) on Trump’s shoulder, whispering into one presidential ear. Apparently, even Donald had hesitated to implement this policy over the past year out of a strictly selfish fear that resulting public backlash might hurt him. But Miller finally won his boss over with the deterrence argument, and the administration fell in line. Trump was correct in his initial hesitation. As the backlog of incarcerated children grew, so did public outrage. The backlash began killing him. So he took to fabricating the excuse that this was not his policy, that his administration was forced to follow a (nonexistent) “Democrat (sic) law.” He also ordered Homeland Security Secretary Kirstjen Nielsen to take the same tack. She spinelessly complied, after having had her own doubts about the policy. There were three problems with this not-my-fault reasoning: 1) Trump has been in office for 17 months — Was he breaking the law all that time by not following the (nonexistent) Democrat (sic) law until now? 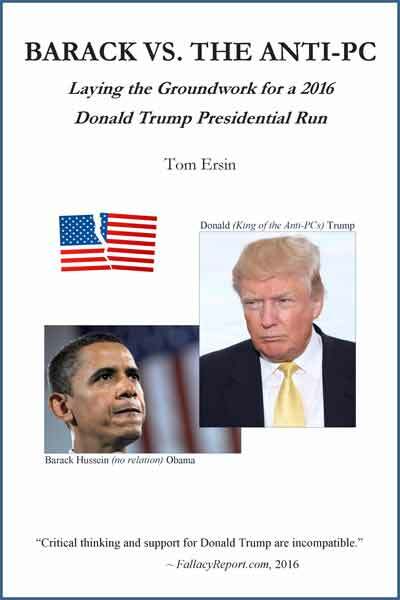 ; 2) the Obama and Bush 43 administrations never felt compelled by any law to enact this barbaric policy, though they could have (but didn’t out of respect for human dignity); and 3) if this were law, Trump has had no problem ordering his administration not to follow other laws he dislikes, such as existing ACA or EPA regulations. The Trump administration’s messaging problems came from the top: Trump vacillates between lies, distortions, and accidental truths, and so does his staff. First they said family separation would be used as a deterrent, that it was an intended consequence of their zero tolerance illegal immigration policy. Then they said it was Democrats’ fault, that they were “obligated to follow the Democrat (sic) law.” Then they said separation was unintended. Then they said there was no policy of family separation. Finally, the president said he couldn’t end the inhumane policy he created through executive order — the day before he ended it through executive order. “I have put in place a ‘zero tolerance’ policy for illegal entry on our Southwest border. If you cross this border unlawfully, then we will prosecute you. It’s that simple. … We will prosecute you, and your child will be separated from you as required by law. Everything revolves around the 1997 Flores v. Reno Settlement Agreement, commonly referred to as the Flores Agreement. A settlement is a resolution between two parties in a legal dispute. (If the government is involved, it sets precedent and carries the weight of law.) In the Flores Agreement, the two parties were Jenny Lisette Flores (an unaccompanied 15-year-old girl from El Salvador) et al and Attorney General Janet Reno. This settlement puts limits on the government’s ability to detain children, and orders minors to be placed in the least-restrictive environment possible. A 2016 supplemental determination clarified that children cannot be confined to family detention facilities beyond 20 days. Presidents Obama and Bush 43 dealt with this problem in three ways: 1) by releasing migrant parents with ankle bracelets — and their children — while awaiting the adjudication of their cases; 2) resolving cases within a reasonable amount of time while families were detained; or 3) not prosecuting every illegal (misdemeanor) border crossing, i.e., not having a zero-tolerance policy, and simply deporting offenders. Until President Trump backed down, he tried to blame his policy on the “Democrat (sic) law,” the Flores Agreement settled during the (Democratic) Clinton administration. He said the problem of family separation could not be fixed by executive order. Critical thinkers and most people who were once children weren’t buying it. Some who did buy it were evangelical leaders. On Wednesday, President Trump caved. He issued an executive order allowing the detention of children with their families for more than 20 days, attempting to override the 2016 supplemental order to the 1997 Flores Agreement. Trump’s EO is intentionally vague and sure to be challenged in court. Note that Donald allowed this abuse to go on for almost two months. He buckled only after the outrage against his blatant inhumanity became deafening and — more important — harmful to his political standing. He misjudged. He thought the outrage would actually embolden his base. He was wrong. A lingering issue is that the administration still has 2,300-plus separated-at-the-border kids in custody (combined with the 10,000 or more unaccompanied minors in custody). The executive order does not address the currently detained migrant children separated from their parents. They will not immediately be reunited; their plight will not be addressed any differently than before the EO. Even when the government begins trying to reunite families whose cases have been settled, the record keeping between departments (DHS, ICE, HHS) has been so slipshod that they will be unable to locate many of the children. Innumerable mothers and fathers have been deported without their kids and have no idea where their children are. Most parents in custody don’t know where their children are. Reports that communication among separated families has been allowed are mostly lies — HHS cannot find and match the children with their respective parents to communicate. 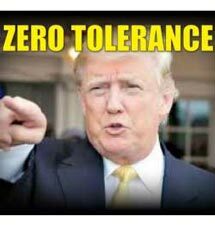 Trump has not rescinded the zero tolerance prosecution policy. This means the inevitable overload of migrant families arrested at the border will continue to be detained (albeit together) indefinitely while their cases are prosecuted. The three existing family detention centers are full, and few plans have been made to deal with the imminent onslaught of new cases. As with other major Trump policy changes, governmental departments were blind-sided. The zero tolerance policy was implemented incompetently, starting from the top. There were no warnings to affected agencies so they could plan for the change. Now the country has a man-made humanitarian crisis to clean up. Mass migration from south of the border has bedeviled past administrations, too. As many experts have stated, the problem cannot be solved until the underlying cause is addressed: large numbers of people from Central American countries and parts of Mexico are so afraid for their lives and their livelihood that they are willing to risk anything to leave or at least get their children out. All political policy should begin with regard for innocent children and emanate from there. The Trump administration argument was that migrant parents were breaking the law, and it’s not the government’s fault that kids are affected. Innocent children’s welfare should be addressed and ensured first. Then policies should be designed, implemented, and carried out with that guarantee. This strikes at the heart of other GOP policies. Take so-called entitlements. Republicans want to make blanket cuts to programs like Medicaid, food stamps, school free-lunch programs, Head Start programs, community mental health, and the Affordable Care Act. Their sole Ayn Randian reasoning is that the poor should be encouraged to pull themselves up by their bootstraps and not be encouraged to be lazy. This libertarian logic breaks down fast, however. One problem with this reasoning is that income inequality continues to grow bigly under Trump. There is only so much room on the ladder to move up. There will always be a percentage of working poor and lower-middle class people. They strive to support their families but still can’t afford health care insurance or school supplies for their children, let alone college. And yes, there will always be a small percentage of freeloaders. But the primary point Republicans miss or ignore is that innocent children should not be punished. These kids did not choose their family or the neighborhood into which they were born. Paying a little more in taxes is the tradeoff rich and upper-middle class citizens make in exchange for infrastructure and other societal benefits that helped them get to where they are today. The GOP loves to complain about a cycle of welfare children turning into welfare adults. But the way to break this cycle, in a compassionate country, is to give these kids a leg up, a chance to improve their starting point in life’s race. The free lunch at school — the one good meal many underprivileged children get per day — is often the difference between learning in class and preoccupation with hunger. The Head Start program could make the difference between a kid graduating high school or dropping out in ninth grade — or getting arrested in ninth grade. The health care coverage a working family gets could be the difference between affording college for their child or not. In a compassionate country, the welfare of innocent children — and a leg up to improve their lives — should be addressed and ensured first. Then policies should be designed, implemented, and carried out with that guarantee. “It is corrupt, indecent, and immoral. With the exception of a few governors like Baker, Hogan, and Kasich it is filled with feckless cowards who disgrace and dishonor the legacies of the party’s greatest leaders. This child separation policy is connected to the worst abuses of humanity in our history. It is connected by the same evil that separated families during slavery and dislocated tribes and broke up Native American families. It is immoral and must be repudiated. Our country is in trouble. Our politics are badly broken. “The first step to a season of renewal in our land is the absolute and utter repudiation of Trump and his vile enablers in the 2018 election by electing Democratic majorities. I do not say this as an advocate of a progressive agenda. I say it as someone who retains belief in DEMOCRACY and decency. “On Ronald Reagan’s grave are these words: ‘I know in my heart that man is good. That what is right will always eventually triumph and there is purpose and worth to each and every life.’ He would be ashamed of McConnell and Ryan and all the rest while this corrupt government establishes internment camps for babies. Every one of these complicit leaders will carry this shame through history. Their legacies will be ones of well-earned ignominy. They have disgraced their country and brought dishonor to the Party of Lincoln. “I have spent much of my life working in GOP politics. I have always believed that both parties were two of the most important institutions to the advancement of human freedom and dignity in the history of the world. Today the GOP has become a danger to our democracy and values.